Young and rebellious Eva despises her mother who married shady business man Michael and is living with him and his two daughters in a luxurious country house. 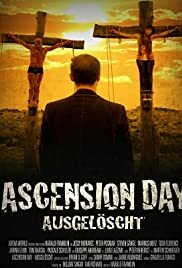 When Eva overhears that a supposedly illegal delivery of uncut diamonds is about to go down on Ascencion Day she sees an opportunity to get rich and start a new life elsewhere. Together with her boyfriend Hanno and his buddy Dominik she plans a robbery during which nobody is supposed to be harmed. However, things go terribly wrong and a spiral of violence and revenge starts to spin.